Best eaten overlooking the ocean – but that's just my opinion. One of the things we’re most famous for in Atlantic Canada is our lobster. It’s something that most visitors just have to have when they vacation here. Being so rich and delicious, it’s a luxury. Did you know that wasn’t always the case? Atlantic lobster. Photo: Wiki CC. Lobsters used to be extremely abundant on the Atlantic coast – so much so that often they would wash ashore after storms. This was the 1600 and 1700s – when cod was also so plentiful that it was said you could walk across their backs on the ocean. A slight exaggeration, I’m sure. Since they were so easy to harvest, many less well-off families used lobster as a free food source. Because of that connection they were seen as food only fit for “poor folks,” a bias that stuck for many years. It had such a mark of disdain that some servants in Atlantic Canada and New England had it written into their indenture agreements they would only eat lobster a certain number of times a week. It reflected badly on their employers if they ate it too often. During those times, it was not uncommon for lobsters to be in the 20-30 lb range. So you can see how they were an easy, and bountiful, food source. A 20 lb lobster would easily feed a family of 8 people. It wasn’t until the mid-1800s that diners began to recognize lobster as a quality food. Commercial fishing began, taking its toll on the populations within decades. But how could over-fishing happen so quickly? Part of the reason is that science suggests lobsters become more fertile as they age, and as they age they grow larger. So smaller lobsters do not produce as many young as those 20 pounders. Unfortunately, it was the big ones that were harvested. With scarcity comes price increases. Now the cost of lobster makes them a luxury, being out of reach to many people except on special occasions. A lobster dinner at a not too fancy restaurant can easily cost you well in excess of $20. There is much to be said about the cost paid to fishers today and the cost at the store. I will not claim to know all the ins and outs of it, so I’ll leave that for others to discuss. 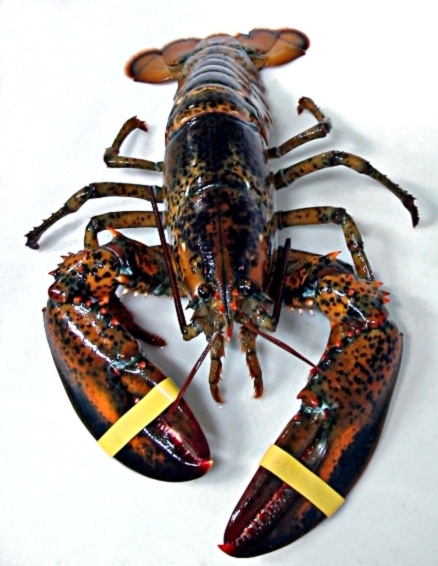 Standard lobster size now is in the 1.5 to 2 lb range – a far cry from their historical size. Today the lobster industry is highly regulated. Making a good lobster sandwich is a breeze, although there are a couple things that are necessary that may not come to mind. One is lemon juice and the other is onion. Both add “brightness” and bite to a lobster roll that just isn’t there without them. 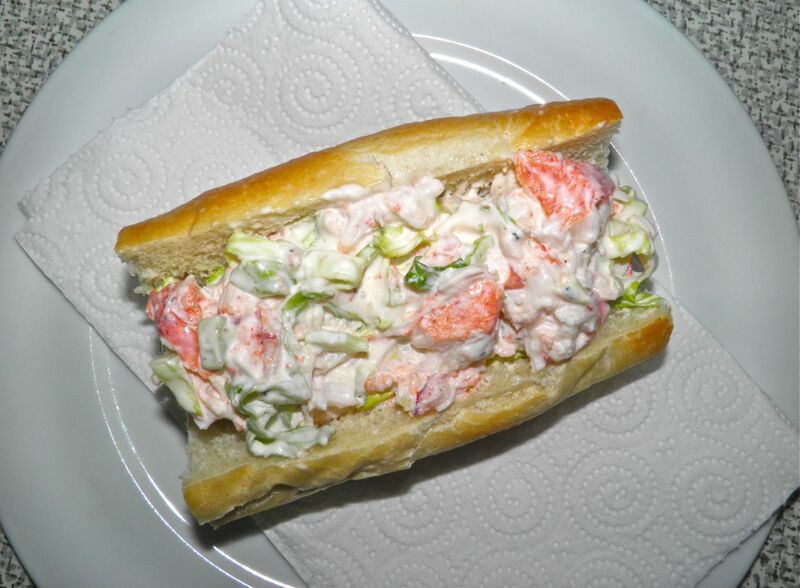 You can make lobster rolls with tinned lobster, but it is nowhere near as good as if you use fresh. Keep that in mind. So without further ado, here’s a standard recipe. Easy to make at home in minutes. Bring memories of the sea shore to your backyard. be served just as well on a bed of lettuce. Chop the cooked lobster meat into bite-sized pieces – not too small. Mix in the remaining ingredients together and refrigerate. 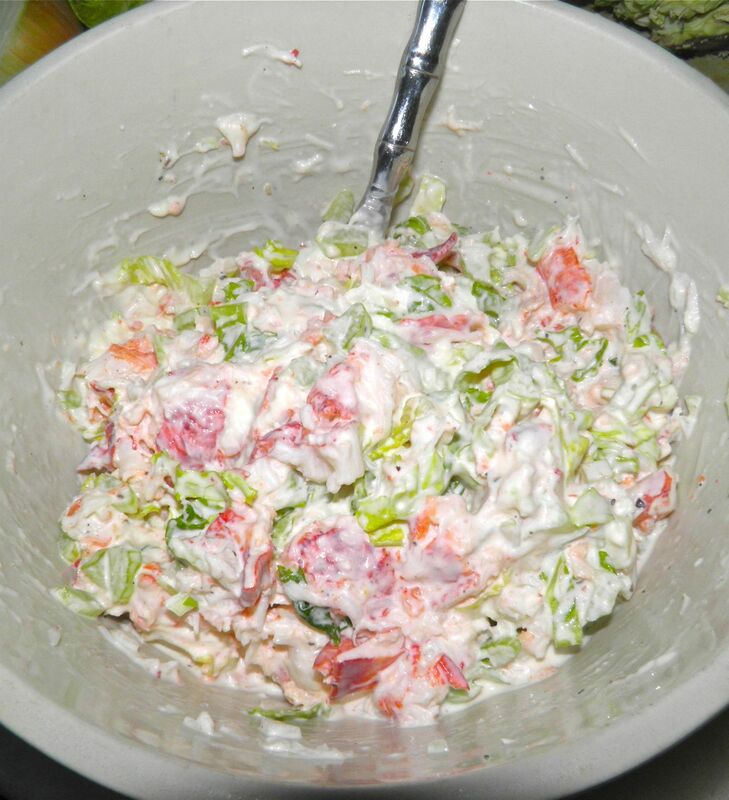 The recipe calls for 1/2 cup of mayonnaise. You can add more if you wish. I find tinned lobster meat a bit salty, so if using it you may want to omit salt. Also, if using tinned meat press out the liquid after thawing. I know it seems like a waste, but if you don’t your lobster filling will be very wet. This isn’t necessary if using fresh cooked. * This time doesn't include cooking and cleaning live lobster. You can purchase pre-cooked to save time and anxiety.